Seven years ago I shared a “satellite” office with an attorney friend of mine who got to know the barter business pretty well—he had no choice, he could overhear every conversation I had for over a year! Indeed, as barter company owners or employees we all know what the day to day problems of the business are: limited goods and services, untimely service, impatient or belligerent members, late pays/no pays, TIN issues, etc. But we also get to see the amazing positive things barter does for so many businesses. And NATE is a valuable vehicle that can help all exchanges experience more of those amazing success stories. So as NATE enters its 21st year, it’s imperative that it looks to its past with a sense of pride, its present with a sense of purpose, and its future with an open mind. We as entrepreneurs in the barter business know this all too well—we deal with risks all the time. NATE too operates in an uncertain environment that presents risks of its own. Currently, the barter industry is under the most intense level of IRS scrutiny since 1982 when TEFRA (Tax Equity Fiscal Responsibility Act) was passed. The recent proliferation of association sponsored currencies raises questions as to what the core purposes of barter associations really are, going forward. And the issue of whether two associations are in the best interest of the barter industry as a whole, continues to be seriously debated. These are the compelling issues of the day that will shape the future of the commercial barter industry. There is no question in my mind that NATE can rise to the occasion and be a powerful voice for reason and good judgment so as to assure a bright future for barter. NATE needs to step up, because in the final analysis barter truly is an industry that has value, it really is an important business tool for businesses, and despite the risks, is well worth believing in. 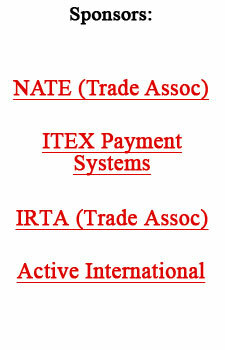 ITEX Corporation (OTCBB:ITEX) has announced results for their second fiscal quarter of 2005, ending January 31, 2005. Revenue for the quarter was $2,703,000 versus $2,708,000 in the prior year, increasing 5% over the most recent quarter ending October 31, 2005. And net operational income for the quarter was $234,000, versus $227,000 in the prior year. SG&A (selling, general and administrative costs) for the quarter increased to $669,000 from $542,000 in the prior year. The increase is attributed largely to investments which included $84,000 in costs for Internet application improvements and hardware upgrades, and $40,000 for broker incentives and support. Assets increased to $3,609,000 from $2,923,000 at the fiscal year ending July 31, 2004. Liabilities were $520,000 compared to $1,821,000 in the prior year. The company has no long-term debt. For more information the quarterly report on Form 10-QSB can be found at www.sec.gov. The Strativity Group of Parsippany (NJ) in cooperation with CustomerSat in Mountain View (CA) issued a 2004 annual survey showing that companies continue to take their customers for granted, and that the relationship between companies and customers is worsening. 59% claim they do not deserve customer loyalty, up from 45% in 2003. 83% do not know the average annual customer value. 89% do not know the cost of a customer complaint. 90% did not know the cost of total resolution, while 62% percent did not know the annual customer retention rate. 65% agree that their executives do not meet frequently with customers, up from 54% in 2003. 31% affirm that they have the tools and authority to service customers, down from 37% in 2003. 57% agree that their company does not conduct a true dialogue with customers, up from 55% in 2003. 54% agree that the role of the customer is not well defined, down from 60% in 2003. These results indicate a major vote of no confidence by executives, an inability to move from intention to execution, and an overall failure to deliver successful customer strategies,” said Lior Arussy, Strativity Group founder. Despite attention from academia and the media on the value of existing customers and the cost inherent in obtaining new customers, Arussy noted that companies are ignorant regarding the costs and revenues associated with their customer relationships. “Companies continue to pay a great deal of lip service to their customers and customer strategies, yet very few of them can demonstrate long-term success in forming strong, sustainable, and profitable relationships with customers,” he divulged. Executives from the United States, Europe, Asia and Africa submitted surveys. Participating companies represented a wide range of sizes. Just published...BarterNews issue #64, get your copy now! Orders will be shipped within two business days of publication. Click on Order Form. Paul O’Neill, President George W. Bush’s first Treasury secretary and a former CEO of aluminum giant Alcoa, proposes having the government endow an investment savings account for every American at birth. O’Neill’s plan: Upon each child’s birth, the government opens an investment savings account in his or her name and puts $2,000 into it. Every year afterward until the child turns 18 the government puts another $2,000 into the account. The money then would be left to grow at a compounded rate until the individual reaches the retirement age of 65. Assuming a 6 percent continuously compounding rate of return over 65 years, money in the account would exceed $1 million. There’d be no lump-sum payment; the money would instead be put into a 20-year annuity paying about $82,000 a year. Assuming 4 million births annually, O’Neill estimates it would cost about $144 billion to fund accounts for each year’s babies for 18 years. After 65 years, this would eliminate any need for Social Security since all American would retire rich! Advertising spending for the full year 2004 rose 6.3% over 2003, according to figures released by Nielsen Monitor-Plus. Robust growth was seen in syndicated television, network TV, and local magazines. Another new advertising venue: Blaza Media (Water Mill, NY) is putting four-color ads on betting receipts issued at racetracks and betting parlors across the country. The ticket is 2-1/2” x 3” with the wager printed on one side and the ad printed on the other. Sherman Oaks (CA)-based CLS Worldwide Services was launched in 1981 with a single car. This year the company had nearly 120 limos working into the wee hours, shuttling stars and their entourages to the Oscars and the parties that followed that Sunday night. The day after the Oscars they announced a union with Norwood (NJ)-based Empire International. The two companies will create the second-largest fleet of chauffeured rental vehicles in the country. A deal between two little-known California technology companies is the first step, some experts say, in what could be the next big thing on the Web: search engines that let you find movies and TV episodes—and then buy or rent them. The barter tie-up (no money is changing hands) is aimed at additional exposure for Santa Monica-based Movielink and Blinkx, a San Francisco-based start-up. Movielink is a downloading service owned by five major studios. Blinkx is a search engine that uses speech-recognition and other technologies to make a searchable index of trailers for the movie service’s nearly 1,000 titles. Continued growth in auctions: In 2004, $48 billion in real estate was sold at auction. That’s an increase from $42.3 billion in 2003 and $37.6 billion in 2002, according to the National Auctioneers Association. Small U.S. corporations and international companies that trade shares in the U.S. will get a one-year reprieve from a Sarbanes-Oxley rule (the internal controls rule, known as section 404) intended to improve controls over financial reporting. The delay will give small companies and foreign firms until July 15, 2006 to comply with the rule. The smallest companies, those with less than $100 million in revenue, are expected to spend about $550,000 to comply. Australian wines are now outselling French wines in the U.S. America’s consumption of wine keeps rising, although still behind France and Italy. The U.S. is expected to become the world’s biggest wine consumer in terms of both volume and value by 2008. New flights to China are being introduced by U.S. carriers, nearly doubling the number of flights on U.S. airlines to the region and potentially leading to lower fares. China is becoming an increasingly important destination for U.S. business and leisure travelers. In 2003, over one million American visitors entered the country for business and tourism, the China National Tourism Office reports. Sales of second homes surged 16% in 2004 to 2.82 million, with many of those buyers speculating on the real-estate market, per new surveys by the National Association of Realtors, a trade group that represents real-estate brokers. The study showed that 23% of all homes purchased in 2004 were second homes bought for investment. Optimism among U.S. chief financial officers (CFOs) fell to the lowest level in nearly four years, according to a recent survey conducted by Duke University and CFO Magazine. The survey said the confidence reading was the lowest since the survey began tracking optimism 3-1/2 years ago. The 293 U.S. finance chiefs who took the survey said their top concerns were health-care costs, intense competition, and rising interest rates.